When your college students are ready for off-campus living, they need a home that’s comfortable, modern, and conducive to their academic lifestyle. You’ll find it all with The Hub at Tallahassee. We offer apartments that are styled specifically with students in mind, offering premium living spaces, modern features, and a home environment that inspires students to work hard (and play hard too). 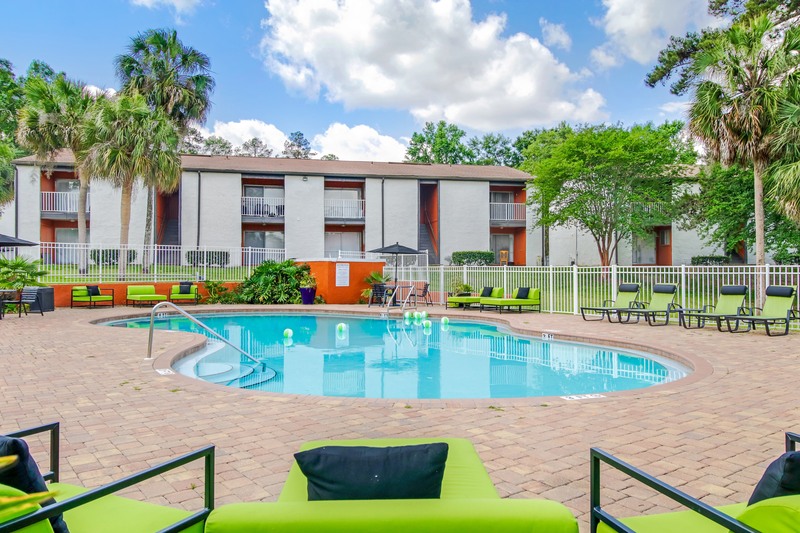 We’re proud to present the finest student living options near Florida State University. Give your child an unforgettable college experience at The Hub at Tallahassee. You have a million things to worry about when your child goes off to college, but thanks to The Hub at Tallahassee, you can take housing off the list. Our premium apartment options are modern, meticulously maintained, and set in a prime location—so when it comes to your college student’s home base, you can rest easy. 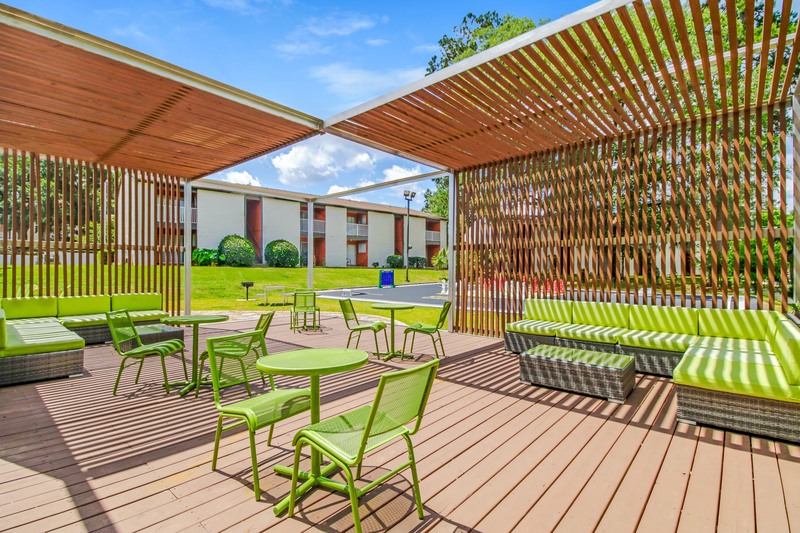 The full college experience is available just steps away from FSU, FAMU, and TCC at The Hub at Tallahassee Apartment Homes. We are committed to offering the most value for our students by meeting various housing needs with flexible leasing options and a wide array of amenities. Your individual lease will include access to all community areas such as our 24-hour fitness facility, 24-hour laundry facility, and complimentary printing. We have a renovated clubhouse, relaxing pool, friendly on-site team, monthly resident events, and so much more! Attending FSU? The Hub Tallahassee is 10 minutes by car, 15 minutes by Seminole Express, or a 6-minute bike ride. Attending Tallahassee Community College? The Hub Tallahassee is 5 minutes by car, 11 minutes by bus, or a 10-minute bike ride. Attending FAMU? The Hub Tallahassee is 15 minutes by car, 30 minutes by bus, or a 12-minute bike ride. No! In fact, with its convenient location to all things Tallahassee, The Hub at Tallahassee is the ideal location for anyone! Our community is conveniently located on multiple bus routes including the Garnet and Gold Seminole Express bus lines which run from 7:00 am to 8:00 pm during the Fall and Spring Semesters and from 7:00 am to 5:00 pm during the Summer. We are also part of the FSU Night Nole which runs from 8:00 pm to 3:00 am during the Fall and Spring Semesters. Need to get around the city? Our community also has quick access to the City of Tallahassee’s Star Metro bus system. Our pricing includes monthly rent, water, sewer, pest control, and wireless internet. Utilities such as electricity and cable are billed directly by the provider. Complimentary on-site parking is also available for our residents with a valid parking decal that is distributed at move-in. Our community has a limit of one vehicle per resident. Yes, many of our apartment homes are fully furnished with modern selections! Furnished units include a full-size bed frame with mattress, drawer storage, desk, and chair in the bedrooms. Furnished floor plans also come with a couch, chair, dining room set, TV, entertainment center, and coffee table in the common areas. Yes, we do! All pets must be registered prior to entering the community. There is a one-time Pet Fee of $300 and a monthly Pet Rent Fee of $25 due for each animal at the community. There is a 2-pet maximum per apartment. Additionally, we do have some breed restrictions, so please reach out to our on-site team for more information. We want to do everything we can to ensure that you experience a comfortable living environment. The Hub Tallahassee has an on-site courtesy patrol that is providing services for our residents when our leasing office is closed. For non-emergencies, you can contact our courtesy patrol directly at 850-558-5616. We encourage all residents to report any suspicious activity to us and as always, dial 911 for emergencies.